Homelessness is a growing problem in the UK, and an increasing number of homeless people have dogs. The bond between many homeless people and their dogs is profound, and the health and well-being of these dogs is very often a major priority for their owners. Having seen the close bond between homeless people and their dogs first hand, qualified vets, Sam and Jade, wanted to try to find a way to help out. This started out with them going out with a stethoscope and some flea and worming treatment to give the dogs a check over and provide basic preventative healthcare. Despite many of the dogs being very well looked after and in good health, there were a few that needed further treatment. With this in mind, Jade and Sam teamed up to create StreetVet; a veterinary led initiative that allows vets in the UK to volunteer their time to prevent and treat disease in the dogs of the homeless. StreetVet has now developed the framework to provide a free, first opinion veterinary service for homeless people across London. They have a constantly growing team of veterinary professionals and have the close support of many drugs companies, veterinary practices, animal welfare charities, social non-profit organisations and local councils to enable us to develop the most comprehensive veterinary service possible for the homeless pet owners in London. They have vets out in the community at least three days a week and everything that can be done in a consultation room, they can perform on the street. This includes medicating, vaccinating, blood sampling, urine analysis, lump sampling, microchipping and more. When they meet a dog that needs more advanced treatment, they are able to take them to one of the practices that they work at to perform procedures including neutering, dental work, surgery, diagnostic imaging and even hydrotherapy. Being vets, they love animals, but much of their day-to-day work involves caring for their owners as well. Many of the owners that they meet are vulnerable people, and one of the main benefits of having vets out on the streets is that we get to know the owners and their dogs and gain their trust. Through effective communication and consistency, we have been able to check and treat over 70 dogs across London and in time, they hope to be able to extend this service to many more across the country. The Scratching Post is a cat rescue charity, based in Waltham Abbey, Essex, but covering a much wider area. Their policy is to ensure that no cat is ever kept in unsuitable accommodation while it is waiting for a home. Every cat’s individual needs are catered for and the best expert help is provided. They never put a cat to sleep unless there is no hope of being able to save him or her with a good quality of life. Village Vet provide a full veterinary service for the Wood Green Shelter based in Heydon. Wood Green Animal Shelters are a national animal welfare charity that has been taking in lost and unwanted animals, and finding them loving new homes since 1924. 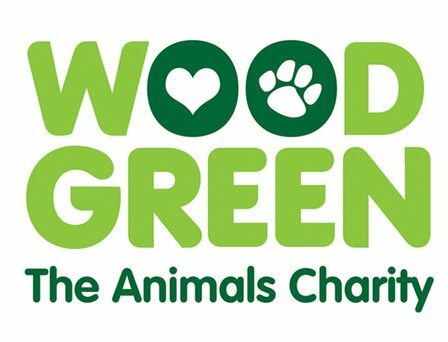 Wood Green Animal Shelter are not eligible for Government or Lottery funding and so rely solely on the support of the general public through regular donations. Heathlands Animal Sanctuary – An Animal Sanctuary with a difference! Heathlands Animal Sanctuary is a registered charity run solely by volunteers, based in Royston, Hertfordshire. Dedicated to the rescue, rehabilitation and rehoming of unwanted domestic pets, Heathlandse take in dogs, cats, rabbits and some types of caged birds. Led by Brendan Robinson, the Village Vet is working with the world-famous Durrell Wildlife Conservation Trust to save two endangered tamarin monkeys and help to re-build the Brazilian rainforests that are vital for their survival. The Atlantic Forest of Brazil, which has been reduced to 7% of its original size, is believed to harbour 7% of the world’s species, many of which are endemic and threatened with extinction. These forest fragments still support an outstanding diversity of species, including the highly endangered Black Lion Tamarin, Jaguar, Ocelot, Puma, Tapir, White-Lipped Peccary and the Blue and Yellow Macaw. A Brazilian non-profit and non-governmental organisation has spent many years coordinating efforts to conserve these remaining forest fragments. Working with small landholders, IPE is proving that agroforestry techniques can revive degraded soil while saving the forest and its exceptional fauna. With continuation funding, IPE plans to increase the number of forested corridors in the state of San Paulo and help 400 new families to earn a living based on agroforestry. Village Vet supports the Durrell Wildlife Conservation Trust and IPE to carry out vital Tamarin research and protection in Jersey and Brazil that will help save these beautiful animals and their rainforest homes for us and for future generations. It is vital that we act now.